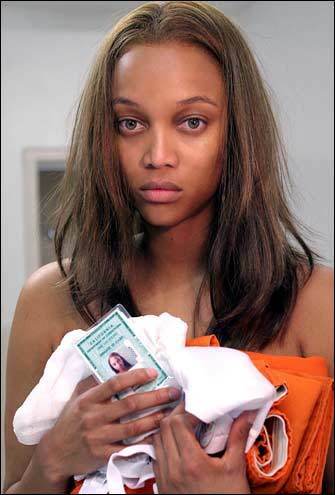 Is this doesn't prove that Tyra Banks is the devil I don't know what does. Only Satan or her spawn would create this combination of true evil. I stopped watching America's Next Top Model years ago because I decided to start loving myself. But if I hadn't, this would be the nail in the coffin. Tyra Banks + Kimmora Lee Simmons is like a proverbial one-two punch in the gut. And KLS, ain't nothin fabulous about that. That's a double dose of terrible.